Getting kids to brush their teeth can be a bit of a nightmare. Mine are happy to lick the toothpaste off the brush, but not really into using the toothbrush for its intended purpose. Anything that encourages more tooth brushing is great in my book. 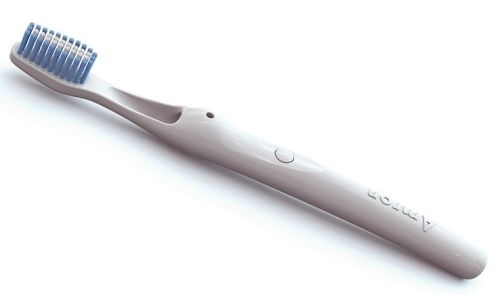 Here is a new invention from American Scott Amron which he promises will revolutionise the way people brush their teeth. Basically, the toothbrush contains a reservoir and spout which will aim tap water straight up towards your face, eliminating the need for a rinsing cup, or even getting your hands wet. I suspect it would give my kids the ability to get a lot more than their hands wet, but I’m sure it would be a hit for just that reason. I’m not sure he’s sold me on the toothbrush’s revolutionary possibilities though – what do you think? 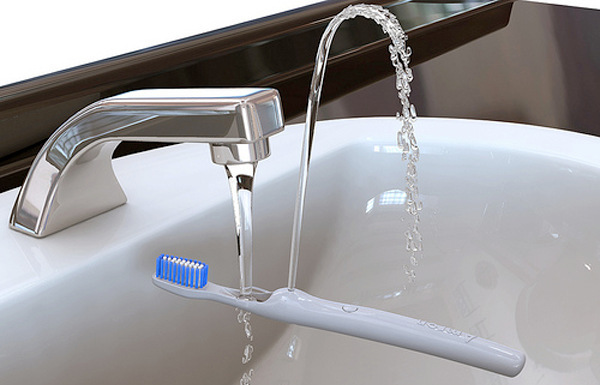 Is this toothbrush something you’d be happy to see on your bathroom sink? If you think it’s the next big thing for bathrooms, you can preorder one from Amron for a special price of US$22, with discounts for larger quantities.